The owner and the lovely woman, Chara, who make us feel like home. You feel as to be in a family. Everyone is really kind, the owner wait for us late night because of the ferryboat. They make you feel like home, extremely clean and many informations about how to move around the island. Thanks for welcome us! Owners were great people! They gave us a map the first day with suggestions on what to see and where to eat and everything was spot on. They also offered us complimentary early check in and late check out. The room was cleaned every day, there is free parking and the location is great, though a vehicle is definitely needed. 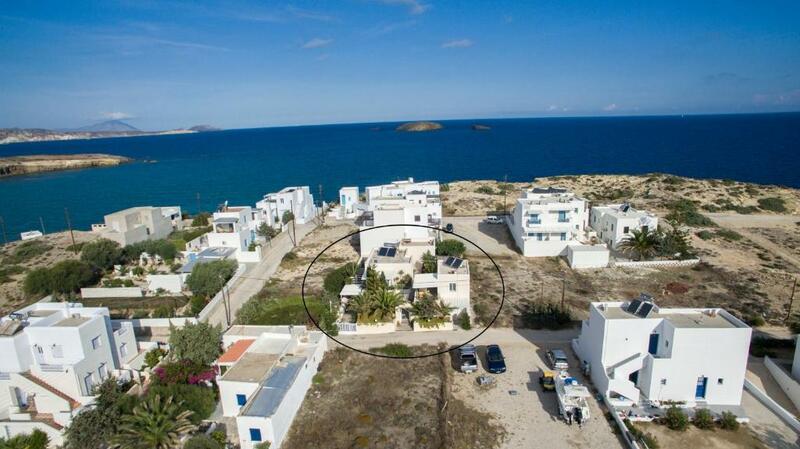 It is located very close to 2 beautiful beaches which are 5’-10’ walking distance. The owner also arranged a boat tour for us at a much better price than we found asking around. Thank you for all your help! The apartment was really big and cozy. The host was available for every needs and suggestions. The studios are 10 minutes driving from Adams, but in a very quiet area. We strongly recommend it! Everything was perfect! Really nice room and beautiful location. The owner was very kind to drive us to the port so we could rent a scooter and he also dropped us off on our last day, couldn’t have asked for more! Staff very friendly and room very clean. Close to nice beaches. 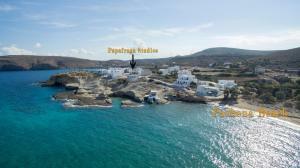 Right near two beaches, just 10 minute drive away from ferry port, can rent cars easily and get around Milos. The staff was very friendly. Helpful. Clean and well maintained place, in a very quiet and charming area. Pleasant host, great parking area, clean, and exactly as advertised in the pictures! Lock in a great price for Papafragas Studios – rated 9.1 by recent guests! 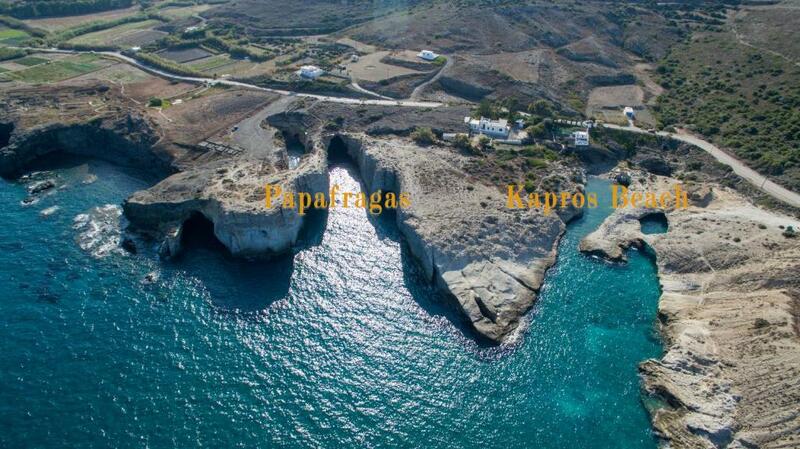 Papafragas Studios is located in the village of Pachaina in Milos, within 1,150 feet from Papafragas Beach. Featuring a sun terrace, the property offers air-conditioned accommodations with free Wi-Fi and a balcony overlooking the Aegean Sea or the garden. Individually decorated, all units of Papafragas come with a dining area and a private bathroom. Each unit includes a fridge and a TV, while some of them feature a fully equipped kitchenette with kitchenware and cooking hobs, and a furnished patio. Guests will find restaurants, supermarkets and a bakery within 1.2 mi of the property. 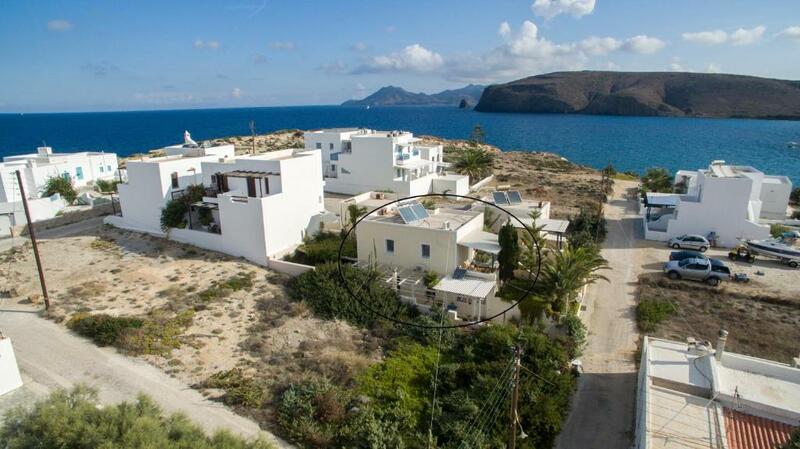 Papafragas Studios is located 3.1 mi from Adamas Port and 4.3 mi from Milos Airport. 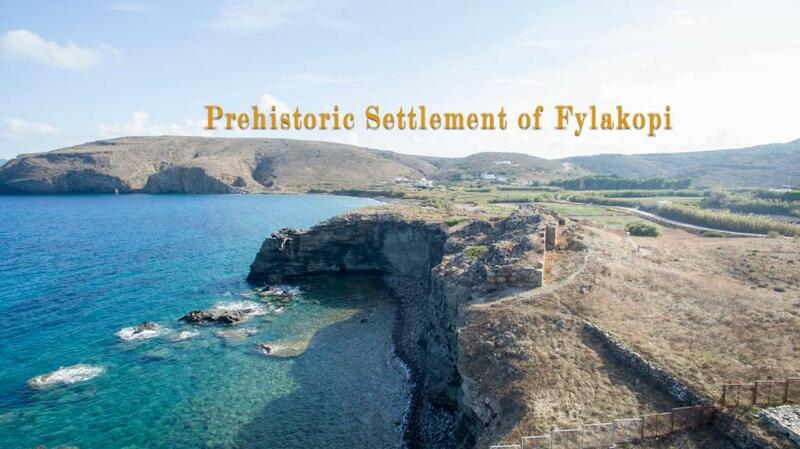 The famous beach of Sarakiniko is at 3.7 mi and Kaprou Beach is 1,000 feet from the property. The town of Filakopi is at 1,300 feet. Car rental service is provided and free private parking is available on site. This property is also rated for the best value in Pachaina! Guests are getting more for their money when compared to other properties in this city. 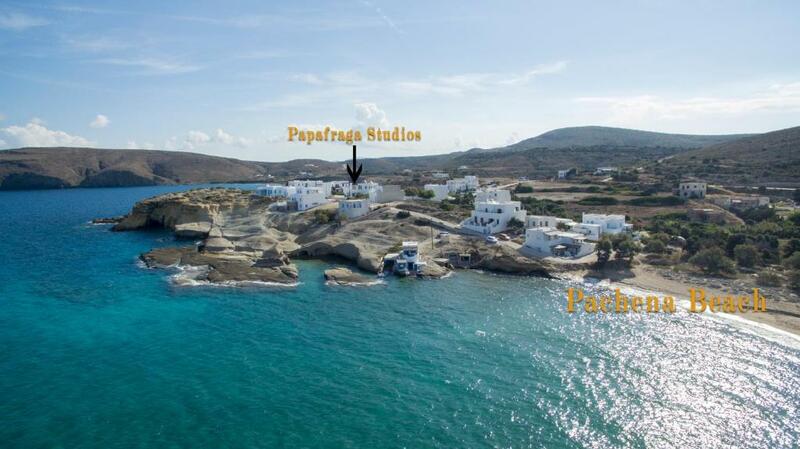 When would you like to stay at Papafragas Studios? Opening out to a furnished patio with garden views, this air-conditioned room includes a kitchenette with dining area. A fridge and a TV are featured and free Wi-Fi access is available. Including a kitchenette with dining area, this semi-basement, air-conditioned studio comes with fridge and cooking hobs. Free Wi-Fi access is available. It opens to a furnished patio. Including a kitchenette with dining area, this air-conditioned studio comes with fridge, kitchen oven and cooking hobs. It opens out to a furnished patio overlooking the garden. Free Wi-Fi access is available. Located at the semi basement, this air-conditioned room features a patio, fridge, TV and free Wi-Fi access. House Rules Papafragas Studios takes special requests – add in the next step! Papafragas Studios accepts these cards and reserves the right to temporarily hold an amount prior to arrival. Please inform Papafragas Studios about your expected arrival time. Please inform Papafragas Studios of your expected arrival time in advance. You can use the Special Requests box when booking, or contact the property directly using the contact details in your confirmation. Too expensive for what they offer. There is no breakfast, not even shampoo/shower gel, however the housekeeper offered to give us some of her own. Very comfortable accommodation, because it is actually the whole house with the garden near the Danube river. Bus does not go very frequently. Better to have own car and scooter. We did not have. Very friendly staff. Small beach is close. Is not about the property, but there is not much around the area. You need to get a vehicle to get to other city for food or restaurants. The owner was very nice. As we didn't manage to get a motorbike when we arrives as close to the port all shops didn't have motorbike left so we asked the owner if he knew someone. He trend to call some but no positive answer. However he proposed to drive us down to Adamas and we found one! Moreover he explained that it was a windy week in Milos that week so he gave us a map hilghliting where to go which where really helpful! The room was very cleaned with a good bed and pillow! We were on the ground floor son or the best view but we had a terrassa which was great for the breakfast as well as having a drink in the evening! Clean every day! 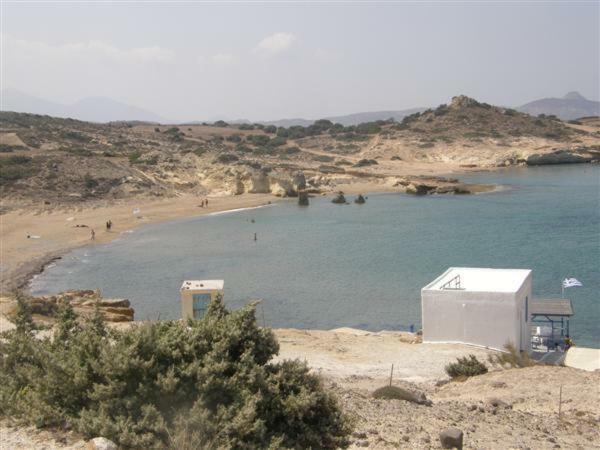 Perfect spot to stay in Milos - far from the crowd by still very close to the city and to the beaches. The place was very clean and spacious. We had everything needed. Our room had also a nice patio were you could have breakfast and relax. The host was very kind and gave us good tips about the island. Recommended!